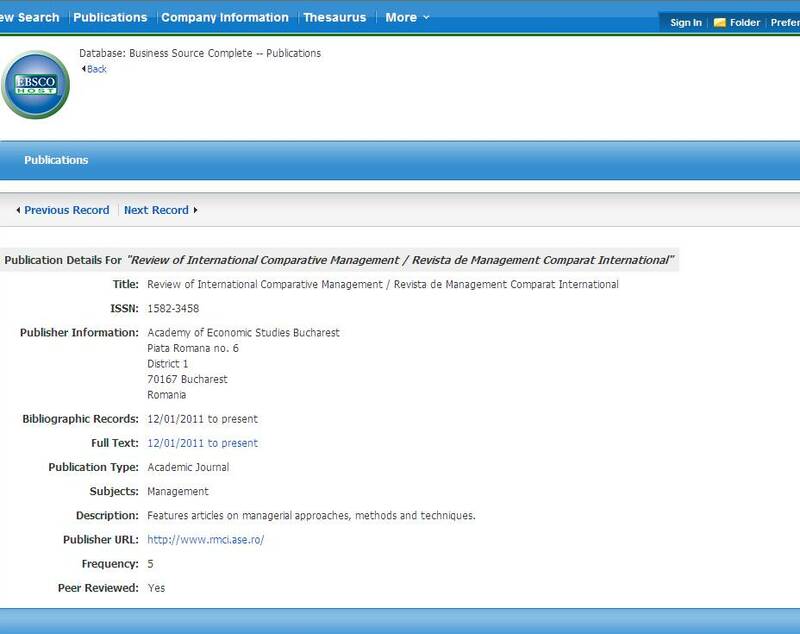 Review of International Comparative Management is a review published in English. Beginning with 2008, the review appear with five annual issues. It comprises a range of articles written by management experts and professors, researchers, students, managers, entrepreneurs and other categories of persons interested in the field of management, generally, and of comparative management, particularly. ensure the international transfer of managerial know-how. RICM invites the specialists, interested in the field of comparative management, to contribute with articles to next issues. B+ (year 2011), B+ (year 2010), B+ (year 2009), B (year 2008).